Just a quick update in the midst of my packed schedule. Life as a fashion student is never easy, i swear. Right now i'm kinda rushing through my finals before the end of my semester this month. So you can imagine how scared yet excited i am now, hahaha. Who doesn't love the white out trend? Seems like everybody does! It's simple, minimal, and sophisticated. Grab your white top and pair it with white bottom and you'll look minimally chic in a second. And also don't forget to use to hashtag #allwhiteeverything or #allwhiteerrthang when you post your white ootd on instagram! We may rarely see horizontal lines on all over our outfits, but these runway looks inspire us to be brave enough to wear it. 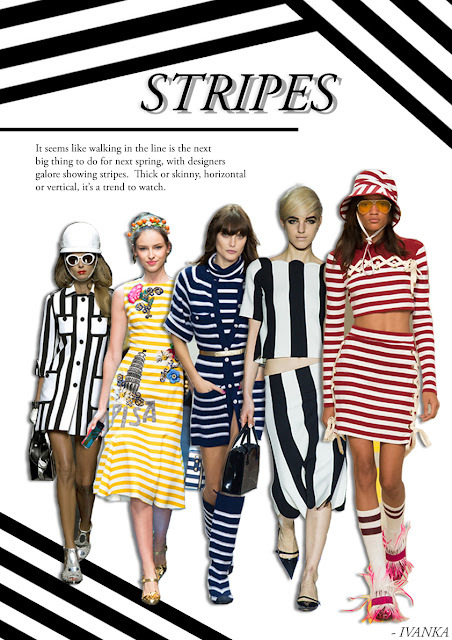 Dolce & Gabbana, Marc Jacobs, Chanel and many others have prove one set stripes outfit can be cool too! You may think the gingham pattern is old fashioned, but in the right hand, any pattern can be impressive! 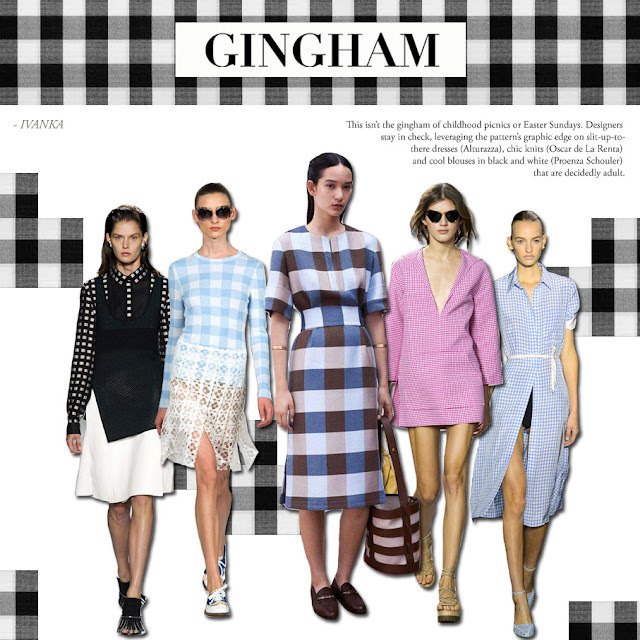 Just recycle some of the parts of your old gingham dress and... voila! It can be a brand new trendy gingham piece. 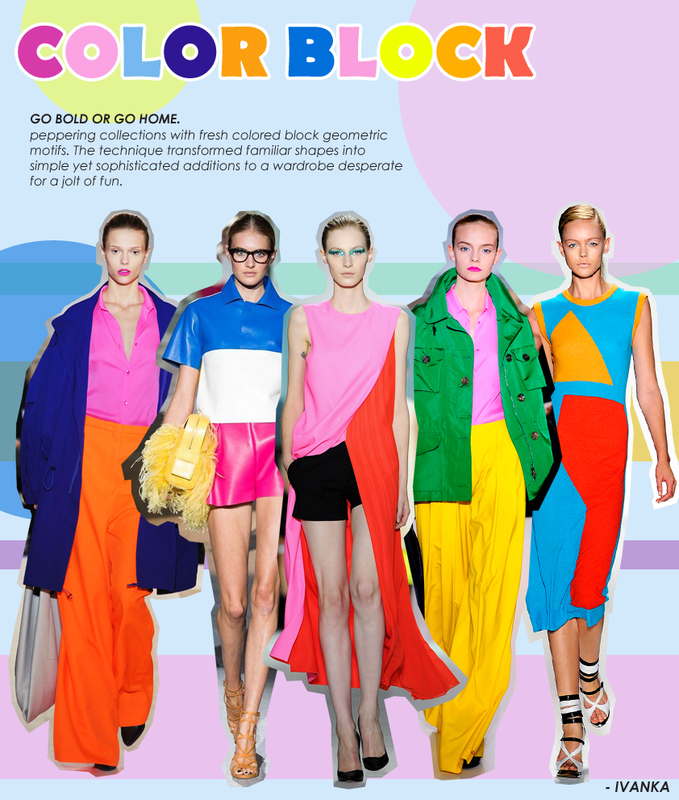 The color block trend may seem a bit weird, but if you have enough guts to pull it off, you can be a quirky fabulous person. The simple formula of pulling this look is by simply match two or three bold colors (not more please!) like: pink and red, blue and orange, or maybe green and yellow. Just like the picture above says, GO BOLD OR GO HOME! Are you enjoying my very first post in 2016? I know this isn't as interesting as my other posts but i promise i'm gonna update more soon. And i'd like to wish you guys a Happy New Year!! May this year brings you more joy, adventure, happiness and love. Now i'm off to my bed and continue doing my assignments the next morning till semester break comes, two more weeks yay!